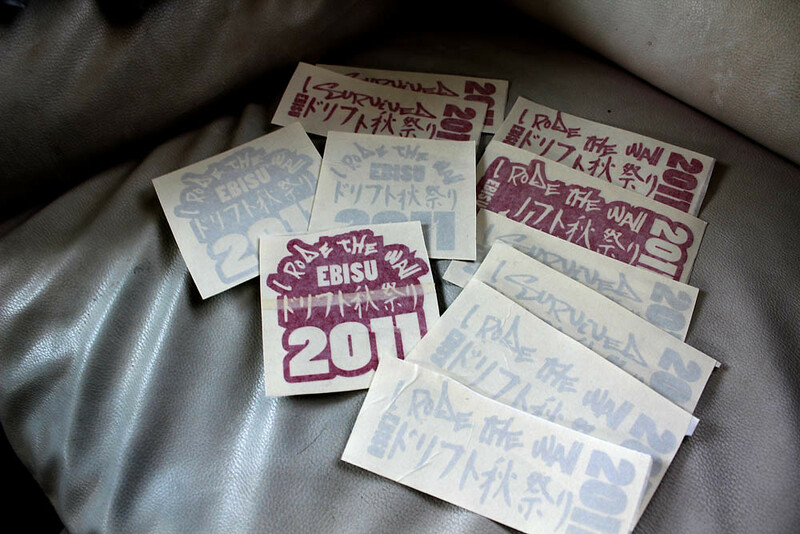 I was at the Ebisu Fall Drift Matsuri and made some special event decals but got wrapped up getting video I forgot to try and sell them. If you were at the event and would like to support us, buy em up. I was intending to sell them for 300 yen each. The price would be the same but there would be a 100 yen shipping if they need to be shipped. I`ll be adding them to the store or just email me at cmaclean@findingjdm.com for info to get them.